Every month we provide you with blog posts where we go into detail about the various Maserati models, but this time we’re deciding to do something different. We figured you might like the chance to see the 2018 Maserati GranTourismo in action, so our Tampa Maserati dealer has picked out a few video reviews for you to watch. You’ve seen the videos – now check out the GranTourismo for yourself. Visit our Tampa Maserati dealer today, and take the 2018 Maserati GranTourismo for a test drive. You’ll quickly see (and hear) why reviewers are so thrilled. 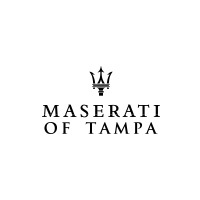 Check out our selection of the 2018 Maserati GranTourismo online, or call Maserati of Tampa at (813) 375-3660 today.